Repairing a chimney mortar is one of those handyman tasks that you can do yourself. Doing the repair yourself can save you money from having to pay a professional to do the job. The step-by-step process presented below proves how straightforward it is to repair a chimney and build a sloped crown to prevent water leakage in the future. Before you start, it’s important that you prepare the tools and materials that you will need. Once you have all the tools and materials ready, you can get started with the job. Start by mixing the mortar until you achieve a consistency that’s similar to that of cookie dough. It shouldn’t be too dry or too soggy. – While the mortar is at rest, prepare the area by clearing all the loose debris away. – When applying mortar towards the crown, form it within an apex where the peak should be at the middle, sloping down into the edges. Just think of this as something like a roof. The goal is to drain the water far away from the crown. – Avoid making the edges too thin. It should have a height of about 1/2 to 3/4 inches in order to keep it from detaching at a later time. Then use the mortar to seal any of the holes surrounding the crown. Leave the mortar for several hours, allowing it to cure before you do any further work on it. 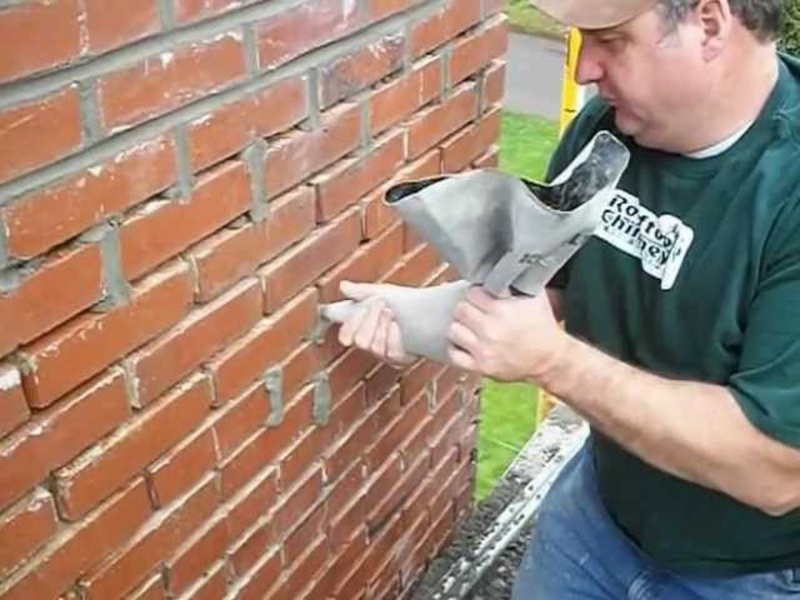 Restoring the brick joints is a process that house repairs professionals would call as the tuck-pointing. First prep the area to make sure there’s enough adhesion. Then apply the mortar directly to the joint with the help of a pointing trowel. You can use your fingers when working on some of the tighter joints. Just make sure that the mortar is packed tightly each time you apply it. Clear any excess mortar away and make sure the entire void is filled in and they stay well in place. Make sure that the mortar is churned continuously to ensure proper consistency all throughout the process. In order to finish the project and to keep rainwater from getting into the flue, attach a cap and a screen above the chimney. Depending on the kind of weather cap and damper you have bought, make sure you follow the manufacturer’s instructions when it comes to it. As you can see, the process of repairing the chimney mortar is easy. However, there are also cases where you might need the help of a professional handyman services to repair the more complicated issues. In this case, don’t hesitate to call for help. It might just save you more money than trying to force yourself into repairing something that you aren’t capable of! When you mention building handyman, many people think it’s beyond their financial reach. This is virtually true, but only if you do not know how to go about it. This is why most homeowners eventually settle on remodeling their homes. However, your dream custom home is achievable, especially if you are on a fixed budget. When you are on a tight budget, you should focus on the necessities. Think about storage space, the rooms you will use frequently, whether your family size will change in the near future etc. These factors will help you narrow down on the necessities. If you are on a tight budget, you should be very careful when choosing the builder. You need someone with experience, someone who will work within your budget and even make feasible recommendations and advise you. A good builder might even be able to help you get more out of your budget than you would have thought possible. If you are building your house on a loan, you need to look for a convenient and comfortable loan. 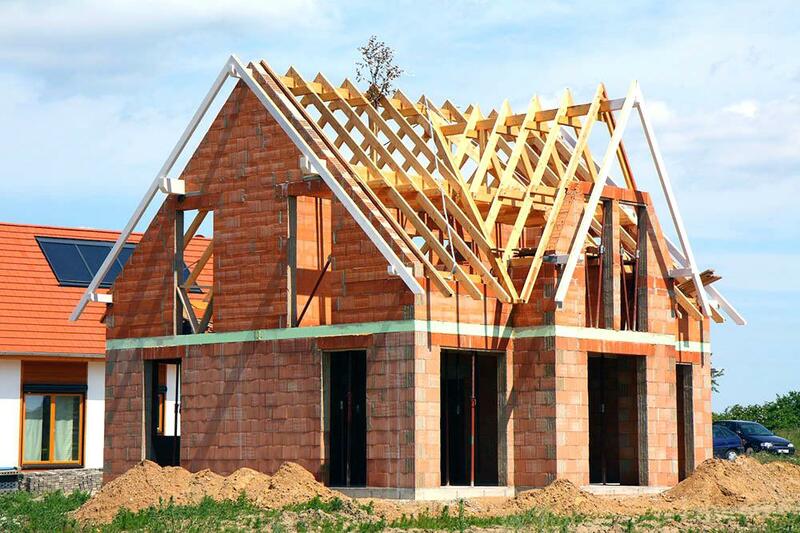 Research on the differences between construction loans and lot/land loans, and choose the one that suits your financial goals. When planning for handyman services, you don’t have to start the project from scratch. A good option would be to choose a pre-designed home. This is because most of the work is already done. You just need to finish up the project or make a few modifications to it. 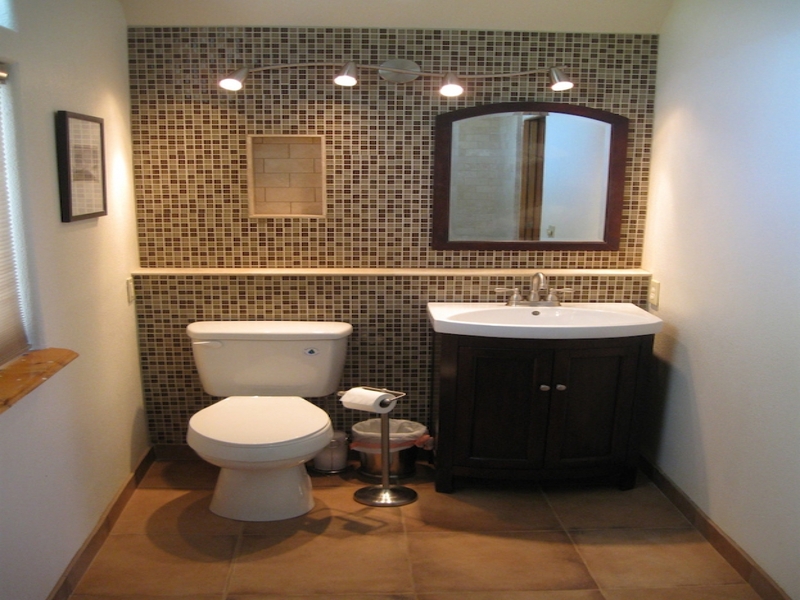 For any project, it is always advisable that you stay in close contact with the builder. Constant communication makes it easier to agree on changes, modifications, and more importantly, you become a part of the project all the way to the end. 3D modeling software has made work easier for homeowners and contractors. They allow you a glimpse into the new home before construction starts. You can also design unique features for your home through the software. For someone who is working on a tight budget, you need to be wary of features that will cost you more than you can budget for. Gable roofs, for example, will be an unnecessary expense. For your floor plan, discuss a simpler profile with your contractor. In case you are building a home on vacant land, you must study the layout of the land. This will help you when thinking about the foundation and utility fixtures. For gardening, your solar system, plumbing and other utilities, a good understanding of the topography is mandatory. Organization for this project demands that you have all the necessary paperwork ready. This will help you save time, especially when working on a construction loan, mortgage or even preparing your permits for inspection. When you source for materials on your own, the cost of supplies is usually cheaper. You can discuss this with your contractor, and figure out the materials that you can get on your own, and the ones that the contractor will obtain for you. Most contractors will get materials from their suppliers or the factory at discounted rates. Talk to your contractor about this and see if they can help you with discounts when buying materials. Even though the contractors will be doing most of the work, there are some things that you can do on your own, which will reduce your overall spending on the project. If you are good at such projects, you can handle things like painting, installing lighting fixtures and tiles etc. There are federal tax credits that are applicable in case you are using Energy Star products. Discuss this with the relevant authorities and you might be surprised at how much you will be able to save. For house repairs, the budgeting work does not end with the completion of the project. You must also make sure you get appliances in the house that are energy efficient. This will make it easier to maintain the house and will lower your utility bills.